Annie McPherson has had it with all the blind dates her grandmother and auntie set her up with. 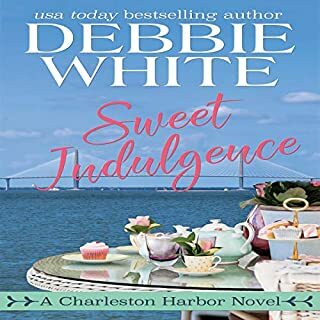 Her focus is the Sweet Indulgence cupcake bakery now. Recovering from a gut-wrenching break-up, women are the last thing on Jack’s mind. After a quick stop to the new and upcoming cupcake shop to pick up cupcakes for his niece’s birthday party, Jack meets reserved Annie. 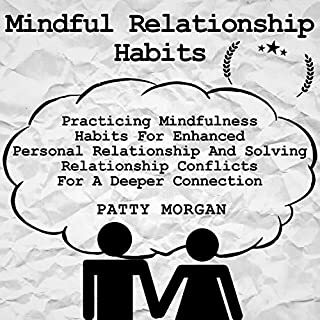 Learn how to be mindful in your relationship and finally grow a deeper connection with your partner! The major goal of anger management is not to teach you to avoid getting angry or to suppress your anger but to handle your anger in an effective, assertive way without letting your angry feelings or your aggression come between you and your partner. You can try this book!! Reiki Healing Meditation Essentials for Beginners is a comprehensive and simple manual for Reiki level one. In this practical guide for energy healing, chakra awakening, and relaxation, you will discover fast and simple lessons that will help you learn Reiki, chakra healing, and relaxation in no time. 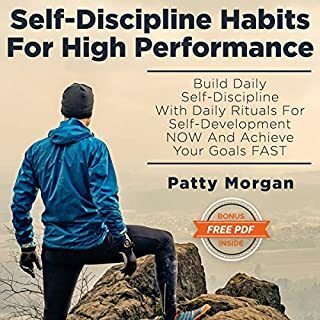 In the first book, you explore how to actually boost your self-confidence, how to approach people you want to meet, how to start conversations and actually keep them going without letting your fears of being judged or rejected come in the way. In the second book, you learn how to effectively communicate your needs, how to set healthy boundaries, and how to build meaningful, healthy personal relationships, which will be long lasting. 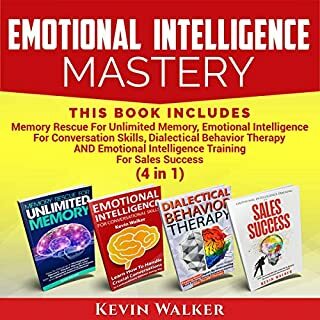 The following book on cognitive behavioral therapy and emotional intelligence will provide a series of exercises and skills that will help you understand your emotions better, improve your emotional relations, and learn effective relaxation and emotional management techniques in no time. It’s time to begin the adventure of managing our emotions through simple and quick lessons you can listen to in your car. Are you one of those people who find it difficult to get along with people? Do you feel that your life would change considerably for the better if you could improve your people management skills? Have you always been awed at the site of some people being able to feel comfortable in whatever situation life puts them? Would you like to be one of those people? Do you also worry about your poor emotional maturity becoming a stumbling block in your personal and professional growth? What if you were told that you could find a great way of enhancing your emotional maturity? Do you think that there is nothing on the face of this world that can help you overcome your emotional immaturity and lack of conversational skills? Then this is the book that squarely addresses your concerns. You need to look no further than this masterfully created tome about all things concerning emotional maturity and conversation skills! It contains everything that you need to know about emotional maturity what it is and what you can do to enhance it. It explains why some people have great emotional maturity and conversational skills and some have seemingly none. It makes you understand and believe that you can develop great emotional maturity and the ability to come out on top in crucial conversations. Sure, there are a million articles and many books out there that make similar claims, but those are nothing more than just claims. Understanding emotional intelligence involves the study of the human mind, which anyone will tell you is in the realm of the highest science. This book has referenced the latest scientific advances that are peer validated and accepted as relevant facts by the scientific community. I personally found the entire book to be both interesting and enjoyable to listen to but my favourite parts were in relation to body language, both how to read it and how to control my own. I had no idea this would make such a collossal change to my interactions and confidence. I really enjoyed this book. But, parts of it. I had to suffer through some of the medical explainations. I recommend the Abridged version. The way the Author made you understand that it's a science behind how feel, and act in different situations. Saw this book mentioned in a youtube video and took a bit of a chance on it and i'm very grateful I did because it already helped me get thru (and really do well!) at a family wedding this weekend, something I was dreading as it was so full of people I didn't know. I was able to strike up conversations, hold small talk and really excel. 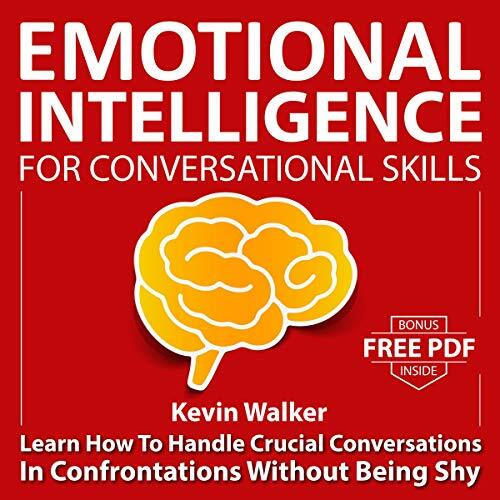 A must read for Conversation Skills!! This book should be a once a year reading requirement for managers and leaders. It is concerning that people with Director level and above title often have lower EQ. This book has a lot of exercises that require serious action to apply. Highly recommended. I am currently enjoying listening to Part II of this book. It is one that you can listen to over and over and still learn more. I have listened to part one two times. The narration is good, and it is a easily understandable and immensely educating about oneself and others. This kind of information needs to be taught in High School or College. It has taking me many years to understand what he covered in this 1 book. Why not give the Kids a jump start. God knows they need it. This book help me learn a lot about myself and how to improve myself in dealing with others. This book is really what I was looking for. This book really points out great topics for today's society and makes you think. I got a lot of information and all my questions. 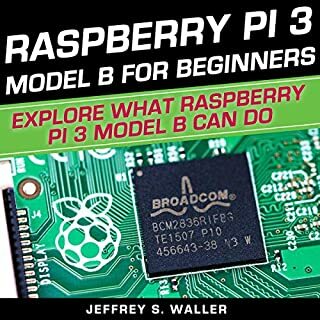 It is really interesting and helpful for me. The topic is fascinating and can be easily applied to your life.I would highly recommend this book for people looking to improve their life. Must listen coz it's excellent! Excellent primer on what Emotional Intelligence is and why it's so important in the workplace. Quick listen and will allow you to decide what areas you need improvement to focus on. Must listen. It had a lot of practical applications those are understandable as well as completely doable. It is fully light on phrasing and rather gives exceptionally pragmatic activities to help the reader to disguise NLP. In addition to discussion on Hypnosis is a very interesting matter, thumbs up. This book is prescribed for me! There are also challenging activities that can be used with leadership-level employees, like the activity reflecting on a person's Authenticity and how much someone's perceived authenticity can impact their relationships at work. The author did a great job in writing this book. It flowed nicely from topic to topic and covered absolutely every powerful techniques and concepts. If you want to transform your life and start achieving more, I recommend that you buy and listen this book! 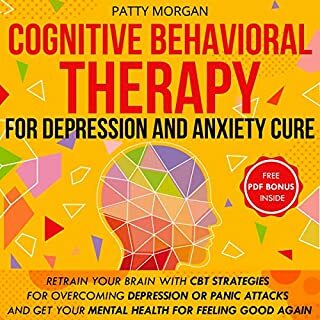 Cognitive Behavior Therapy is a quality guide that takes you from the beginnings of what CBT is and its challenges, through to how and why it's effective treatment for all sorts of disorders. Each of which are stemmed from a negative thinking or belief process. Really enjoyed it. Very useful and inspiring content. Listening this audio was useful for my daily and professional life. Adam nailed it! Great details and explanation. This book will genuinely help me to increase my productivity in my daily life.